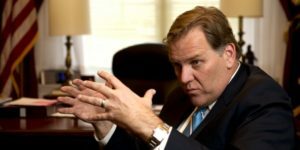 China's Economy Slowing Down due to "Reforms"
WASHINGTON — The chairman of the U.S. House Intelligence Committee, Mike Rogers, said he will look into whether National Security Agency leaker Edward Snowden acted under Russian orders. Reuters reported that Snowden, who is now under asylum in Russia, may have been influenced by Russia to steal and reveal secret U.S. government documents. Snowden had fled from the U.S. to Hong Kong, where he revealed government secrets a The Guardian reporter named Glenn Greenwald. Snowden fled to Russia and was trapped in limbo in a Moscow airport for weeks, until being granted asylum by the Russian government. Greenwald has also come under scrutiny for his role in publishing American government secrets.